Founded in 2014, 7Bit casino has been an industry leader for quite some time when it comes to the cryptocurrency gaming sphere. The site offers many different software providers, so you know you’ll always get the best games that you can find and brings with it, a fantastic responsive site that works on just about any mobile you can imagine. The site is owned and operated by Direx N.V under the laws of Curacao and has support in multiple languages to cater to players from all over the world. 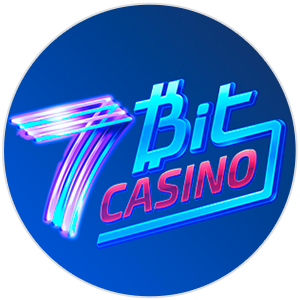 7Bit casino also offers fully cryptocurrency support with the likes of bitcoin, but also a bunch of altcoins. If you’re not in the market for cryptocurrency play, then you can always use regular currency at the site too. Suffers from a slow registration process. The first thing you’ll see about the bonus structure on offer at this online casino is that while the amount you get in return isn’t huge, it’s still quite a substantial offer. Not only will you get up to 100% bonus back up to 1.5 BTC, but you’ll also get 100 free spins when you join. In addition to this welcome bonus, after you’ve claimed it, you’ll be able to head back into the bonus page and get a bunch more bonuses to keep your account ticking over. There’s a 50% bonus up to 1.25 BTC that you can claim twice throughout your time at 7bitcasino and there’s a 100% bonus up to 1 BTC that you can claim at some point too. Not only that, but you can also get yourself a 25% reload bonus started every Monday and a 10% cashback promotion that’s available on the weekend. Finally, there’s 100 free spins in it for you every Wednesday if you deposit more than 0,004 BTC or 40 free spins if you deposit up to 0,0025. One of the first things you’ll notice about 7Bit casino is that the site doesn’t immediately jump straight into the games on offer. The home page has a bunch of new and popular titles cycling on the banner with the massive list of software providers linked below. In order to fully understand the size and scope of the games on offer, you’ll need to register at the site first, something which people may not like. Once you’re able to push past that initial hurdle, you’ll find that the site opens up to you and you’ll be pleased that you stuck with the process. The site offers games from well-known providers such as Amatic, BetSoft, PlayNGo, Yggdrasil, iSoftBet and many more. That may not mean much to you right now, but what it does mean is that you’ll be offered a wide variety of games that are playable on your PC or on a mobile device. You’ll get almost 50 different kinds of table games including blackjack, roulette and baccarat. Not only can you just give roulette a try, but you can try multiple variants of the game, so you can fine tune your experience to find the best type of roulette for you. 7Bit Casino offers over 200 different slot games including classic 3 reel and 5 reel slots, as well as progressive jackpots and video slots too. The best part is that all of these games at 7Bit will accept almost any kind of payment method. You can play almost all of these games for real money or just for fun, so you always know what you’re getting. 7Bit casino doesn’t have any mobile apps to speak of. This is not at all a negative thing because most sites these days, and 7Bit being no different, offer a responsive gaming experience to their customers. This means that the page itself when loaded in a browser will automatically adjust to the real estate size on your phone. That also means that wherever you are and no matter what phone you have, there’s a good chance you’ll be able to make some bitcoin bets and wagers to win some real money at any time. The site and the games have all been optimized to make the experience as interactive and as fun to use as possible. 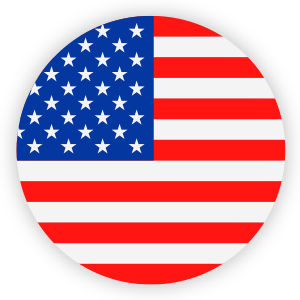 The games generally get adapted by the software providers in order to cater to mobile devices. This doesn’t mean that the games have been dumbed down or changed in any way, but they may have been slightly tweaked to reduce the strain on phones and to make sure that when playing instant play games, it doesn’t cost you an arm and a leg using mobile data. The banking options on offer at 7 Bit Casino really do set it apart from the rest of the crowd as far as payment methods are concerned. You’re able to use all kinds of credit and debit cards, ewallets, prepaid cards, wire transfers and cryptocurrencies to deposit into your account. VISA and MasterCard are of course accepted here for deposits, and your classic ewallets like Skrill and Neteller too. Paysafecard and ecoPayz are also both widely accepted, as are sofort and giropay wire transfer options. The big deal here is the cryptocurrency. It’s not just a bitcoin casino because not only can you use bitcoin as a preferred deposit method, but you can also use Litecoin, Ethereum, Dogecoin and Bitcoin Cash too! With the deposit options on offer at 7Bit, it’s no wonder that it’s one of the top casinos to choose when playing online. As far as withdrawals at the casino go, it’s very similar. The same ewallet, online banking and credit card withdrawals exist, through the same methodology. You can also get your real money paid out to you in the same formats of cryptocurrency, and to top it all off, you can also pay a nominal fee for an online bank wire transfer should you want the money paid straight into your account. 7 Bit Casino has a number of options to keep you safe and secure. You can set your own limits to deposits and losses whether you’d like to do it on a daily, weekly or monthly basis. This will ensure that you can safely and secure play for fun and limit your losses. You can also apply for a bet limit which will make you stick to that limit. There’s a cooling-off period too and if you choose to give things a break, you can temporarily freeze your account, and will need to wait for reactivation after the period has expired before you can come back and start playing again. Not only does 7Bit care about your mental wellbeing but they also care about your information. The site is fully SSL encrypted and sports the classis secure connection information meaning that your data is kept safe and secure from any prying eyes. Should you need help for any of the more common questions that people may ask, 7Bit Casino has a comprehensive FAQ where you can get answers for any questions you may have. Bear in mind, these would be more common questions that other people have asked, so if you have a specific question about something in particular at this bitcoin casino, you may need to contact support. 7Bit’s round-the-clock live chat support feature will be able to help you out in most scenarios. If there’s nobody that’s responding fast enough for your liking, you’ll have your question automatically converted to a ticketing system to ensure they’ll get back to it later. Finally, there’s also an email support system if you can’t afford to hang out to ask some questions, you can just drop them a note and get a response within 24 hours. Is it worth it? We think so. We found that the casino is fair and offers a lot to its customers. It can be a little limited at the beginning because signing up and seeing what’s on offer is a chore, but when you’re past that, you’ll enjoy games from many different software providers and be given the chance to deposit and withdraw in bitcoin or a bunch of other cryptocurrencies that you desire. The customer service is on point and 7Bit offer some great bonuses and promotions that you can claim on a weekly basis to keep your interest at an absolute high.